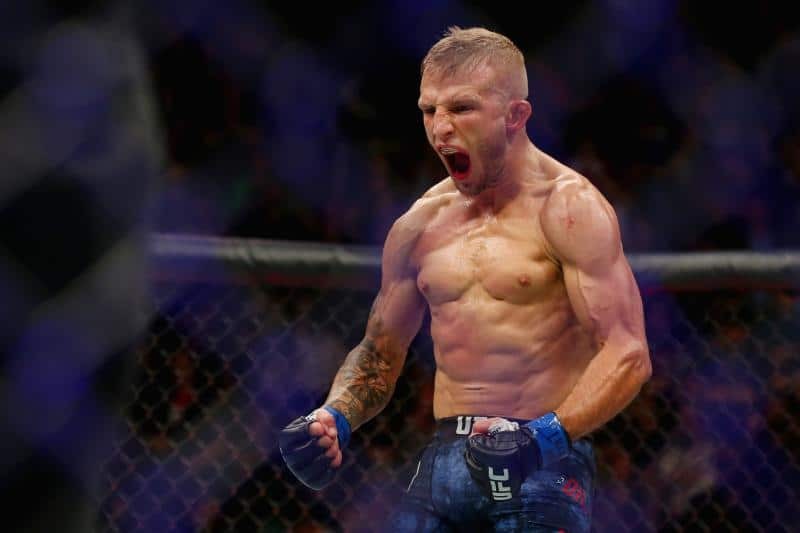 In the lead up to that fight, which also included a canceled bout at UFC 206 in the summer, the well-documented feud between Team Alpha Male and Dillashaw was enough for Ludwig to well and truly run as far away from that type of drama as possible. Ludwig blames Team Alpha Male patriarch Urijah Faber for stirring the pot between both sides when he claimed that both men hatched a Machiavellian plan in order to set their own thing up away from the Californian-based outfit. Ludwig claims both were effectively ‘booted out’ of the setup, arguing a difference in opinion led to the rift. “Cody, he got dropped and got up right away, as soon as T.J. was punching him the second time when it got stopped, he was up right away,” Ludwig said. “There is no quit in that kid. He is definitely a tough character, you cannot look past him at all. He is super fast, he surprised me. I was going, ‘We’re in for a fight after that first round,’ so I knew we had to change things up. “It’s not solely me, but I helped (Dillashaw) a little bit,” Ludwig said. “But he does improve and Faber doesn’t improve. He had a very hard time picking up my system. He’s just set in his ways and that’s good because it’s been successful, but the sport has evolved and he hasn’t so it would be in my eyes a pretty easy fight for T.J. and I would like to see it just because they’d both make some money off it, it would be good for the sport, in every direction it would be good.